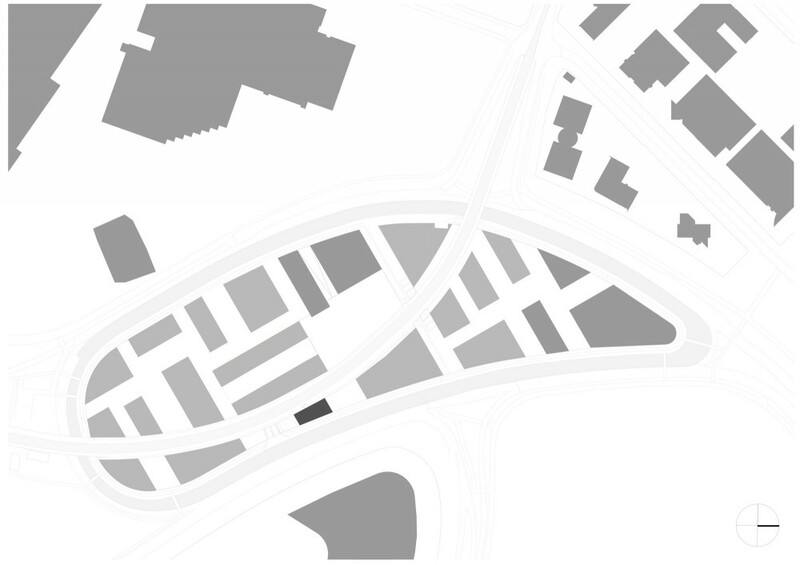 The urban plan is based on six clusters dropped loosely into the landscape and accessed from a looping road, a branch connection of the A2. 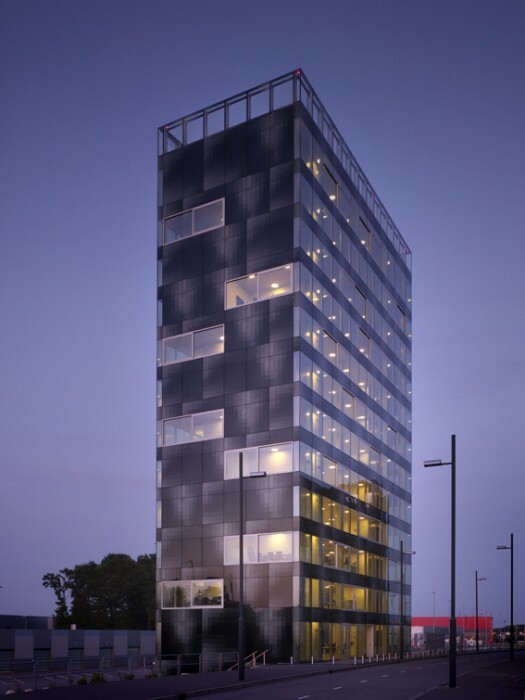 The tower, which contains offices, is situated in cluster 1 where all buildings with office functions are concentrated. The site is cut across its full length by a parking garage whose roof creates a platform for a second urban level, which even contains a bus line. While the main entrance of the tower is related to the elevated level, delivery and parking take place at the level of the ring road. The thirteen-stacked floors correspond exactly with the geometry of the given polygonal footprint, resulting in a somewhat slender volume. Apart from the shared facilities, the entrance lobby and the lounge on the top levels, there is no difference in height between floors. 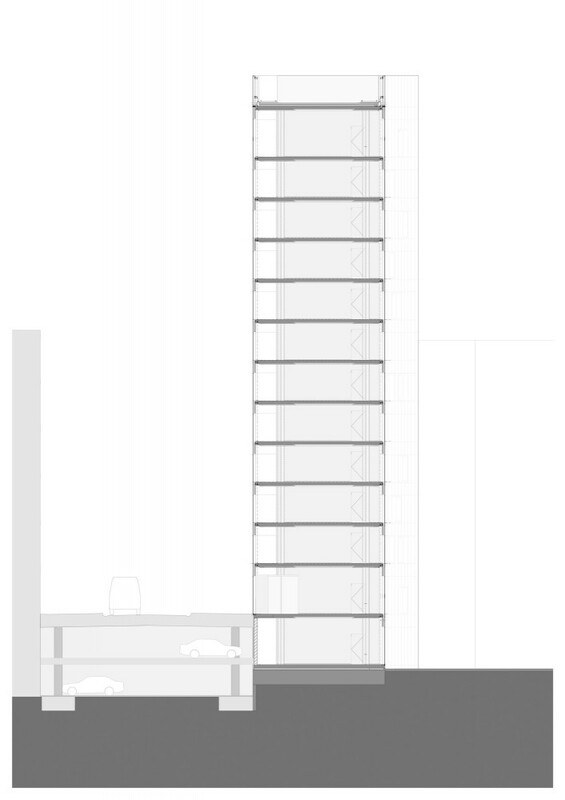 The plan is programmed around two shafts that leave a bay’s width to the exterior skin, thus allowing continuous circulation inside the façade. 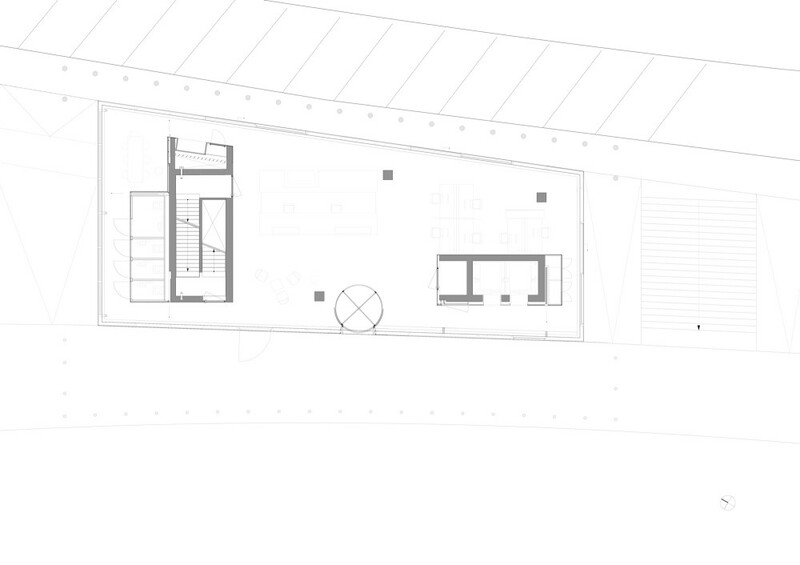 The inner organization of the shafts allows for a layout of cellular, as well as landscape offices. Besides the shafts, only three irregularly shaped columns are needed to support the building. 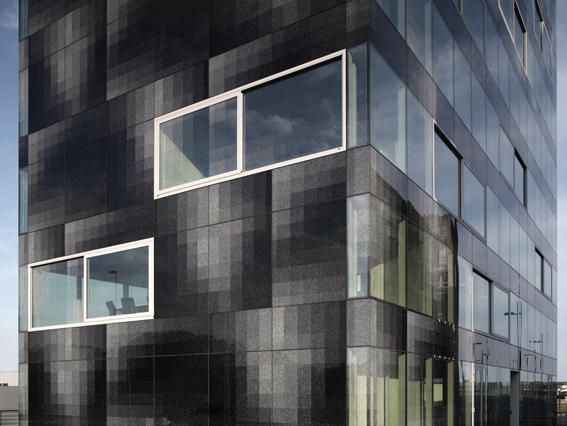 The glazed outer surface is treated with a reflecting silver print, effecting an alternation between transparency and a reflection of the tower’s skin. 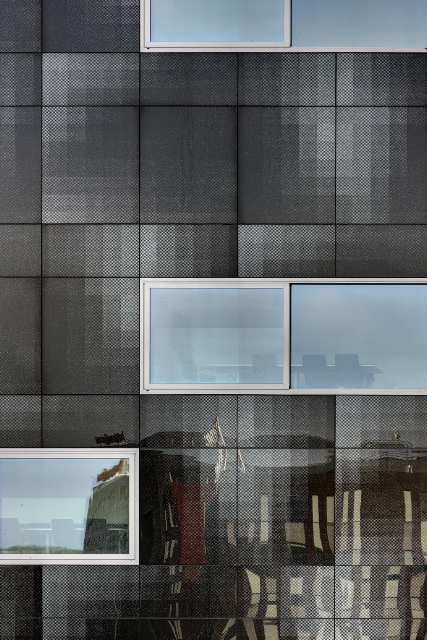 The mirroring ranges from clear at the top to diffuse below, depending on the density of the applied silver dots – from picturing the surroundings on the façade to allowing a glance inside.